The 12th edition will take place in Brussels on December 7-8, 2017. On this, the occasion of the third annual North American meeting, we are pleased to announce the following speakers: Gadi Oron (Director General of CISAC); Justin Kalifowitz (CEO of Downtown Music); Margaret McGuffin (Executive Director of MPA Canada) and Michel Kains (USAlliance for Music). A light working lunch will be served to allow you to network and meet with the other 40+ guests from our industry. RSVP: By e-mail to secretariat@impforum.org until 27 October. The Second Annual Indie Music Publishers Breakfast will take place on the 8th of June from 9 to 10.30am at Midem (Grand Hotel, Cannes). 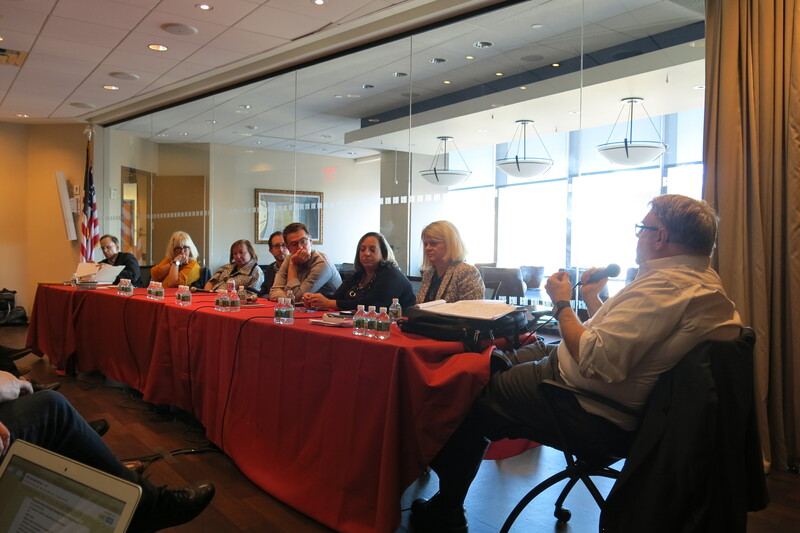 IMPF's 2nd annual North American open meeting for indie music publishers and guests of IMPF took place in the offices of BMI in New York on November 4th 2016. "FOUR STAGES. FOUR TRACKS. THOUSANDS OF BUSINESS CONNECTIONS. ONE PASS." The award-winning All That Matters (including the 'Music Matters Live' festival) returns to Singapore this September 12-15, 2016. Don't miss the opportunity to hear from a Global line-up of keynote speakers and connect with the leading players in the Music, Sports and Digital entertainment industries. With one ticket buying you access to all conference tracks, there has never been a more valuable time to be part of Asia's biggest entertainment event of the year." The next IMPF gathering will be in London on Thursday 25th of February. Everyone welcome! If you wish to attend, please email Camille Mortier for more details.